Faith-based organizations planning retreats, mission trips, youth travel and fellowship events are increasingly including cruises in their travel plans. Cruise vacations appeal to all ages, from teens and families to couples and seniors. In addition, attractive group rates and a wide range of accommodation options can make cruises budget-friendly as well. These trips offer not only opportunities for fellowship, service-related projects and spiritual renewal but also for having fun and sharing memorable experiences together. Cruise itineraries from easy-to-reach U.S. homeports visit a number of destinations with significant needs in the Eastern and Western Caribbean, Mexico and Central America. On these sailings, groups can use their days at sea for leadership programs, small-group discussions, speakers and other events. Days in ports of call can focus on a mix of giving-back experiences and opportunities for bonding and fun. While Fathom and Princess Cruises periodically offered Travel Deep voluntourism-related Caribbean group cruises, faith-based organizations can easily develop their own service-related programs on major cruise lines throughout the year. If a key focus is giving back to others, look for cruise itineraries that include ports with purpose-related shore excursions. These can include visits to local schools, children’s homes, churches and other non-profits. Carnival Cruise Line, Holland America Line, Costa Cruises, Princess Cruises, ShoreTrips/Hope Floats and others can provide these kinds of shore excursions and meaningful activities in numerous ports of call. Carnival Cruise Line offers immersive Give Back with Purpose shore excursions that enable guests to make a difference in local communities. Launched in 2016, these Carnival excursions are available in several ports of call in the Caribbean and Mexico. They include Amber Cove/Puerto Plata, Dominican Republic; Belize City, Belize; Cozumel, Mexico; Montego Bay, Jamaica; Puerto Vallarta, Mexico; and San Juan, Puerto Rico. These guided excursions generally operate with a six- guest minimum, but there is no maximum number of participants. Give Back with Purpose excursions visit organizations assisting those who need it most. “Guests want to empower themselves to change the world, and these tours provide a way for them to make their actions count,” said Erika Tache, Carnival’s director of product development – tour operations who spearheaded the program. Carnival uses its local tour-operator partners to help select quality non-profit organizations that are in greatest need of support. A portion of the shore excursion fees goes to non-profits involved in the tours and are quickly put to good use. In Montego Bay, for example, funds have gone towards building a new school classroom, while in Cozumel, the monies have been used to purchase kitchen appliances and build a playground at Ciudad de Angeles children’s home. Carnival’s Give Back with Purpose tours provide an easy, stress-free way for religious groups to incorporate charitable activities into their cruises. Many Carnival excursions visit non-profit organizations working with abandoned children and those in need, including children’s homes, orphanages, basic schools and churches. Some of these include Liberty Children’s Home in Belize and Ciudad de Angeles and San José del Mar Church in Cozumel. There, guests meet with directors and administrators, staff members, teachers, priests, and sometimes children and young adults living at the homes to learn more about the organizations, their work and the challenges they face. These encounters are memorable experiences that can make lasting connections and touch the heart. Transportation and an authentic meal at a community restaurant is provided as well. While Give Back with Purpose excursions do not include service work, there are other ways for faith-based groups to give back as part of these experiences. Many of the children’s homes and non-profits provide “wish lists” on their websites, so groups can often bring donations of children’s items, over-the-counter medicines and school supplies with them on their visits. While cruise guests generally can transport properly declared in-kind donations off their cruise ships in many ports of call, restrictive customs rules may require alternative approaches in destinations such as Mexico. In Cozumel, for example, it’s easy to take a taxi to the nearby Mega store to purchase much needed supplies for the Ciudad de Angeles children’s home. Purchases like these help the local economy and groceries are often greatly appreciated at children’s homes in other locations as well. Holland America Line features a number of Cruise with Purpose shore excursions. On calls at the Dominican Republic port of Amber Cove, groups can volunteer at a women’s recycling micro-business and a women’s chocolate cooperative to help boost production and increase sales. Similar shore excursions are available on Costa Cruises and Princess Cruises sailings. 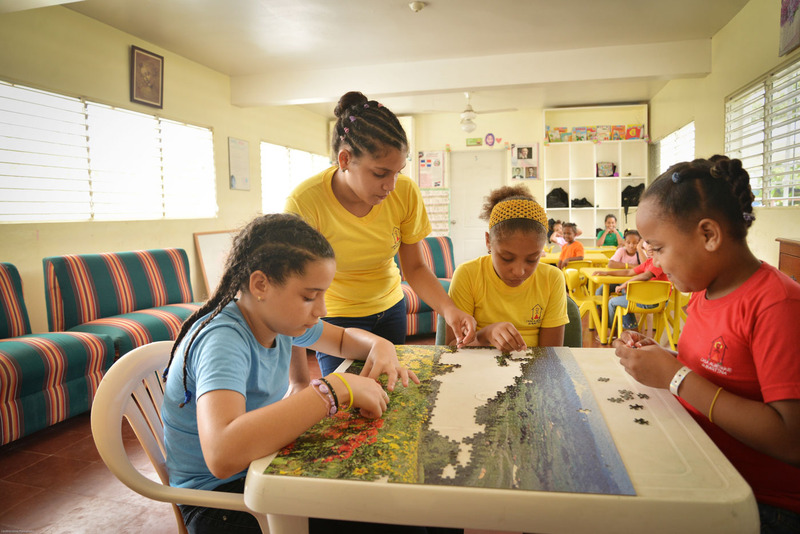 In Corinto, Nicaragua, Holland America guests can visit with schoolchildren at the Betania Foundation, a property that hosts 400 kids and teens. Other organizations also provide opportunities to give back on cruises. ShoreTrips, a large independent tour operator, has partnered with non-profit Hope Floats to offer volunteer opportunities in a variety of Caribbean ports of call. Its GIVE excursions can be included on any cruise and are available in Antigua; Barbados; Belize City; Cozumel; Nassau, Bahamas; Castries, St. Lucia; St. Thomas, U.S. Virgin Islands; and Tortola, British Virgin Islands. Some excursions focus on animal care and recycling activities, while others include service work such as volunteering at a senior center or children’s home, assisting at facilities serving needy residents or supporting teachers in child-care programs. Groups can arrange to work on projects pre- or post-cruise with HandsOn New Orleans. ShoreTrips’ GIVE opportunities are developed by Bill and Cathleen Huckaby, founders of Hope Floats. Volunteer hours, rather than funds, provide the donation on these tours, and opportunities to provide in-kind donations vary. Shore excursions can be purchased directly through ShoreTrips or Hope Floats. While transportation is generally not included in the cost of ShoreTrips GIVE excursions, taxi instructions are provided with each tour. Faith-based travel planners interested in setting up their own independent shore excursions can check out the resources and direct contacts provided by Together for Good, an organization that promotes giving back as part of the travel experience. Together for Good’s website provides information on over 100 service-related opportunities in the Caribbean, Central America, the Bahamas, Mexico and the United States. This resource is best suited for those who have the time to arrange their group’s service opportunities in ports of call. Together for Good’s website directory lists options in popular international cruise ports and U.S. homeports. Some of these include bringing supplies and volunteering at a children’s home or school in Roatan, Honduras; opportunities to assist schools and community organizations in Jamaica and Mexico; and working with non-profits in New Orleans. Insights on arranging transportation and detailed tips for those planning service-oriented cruises are provided as well. Shore excursions aren’t the only ways to help others on a faith-based cruise. 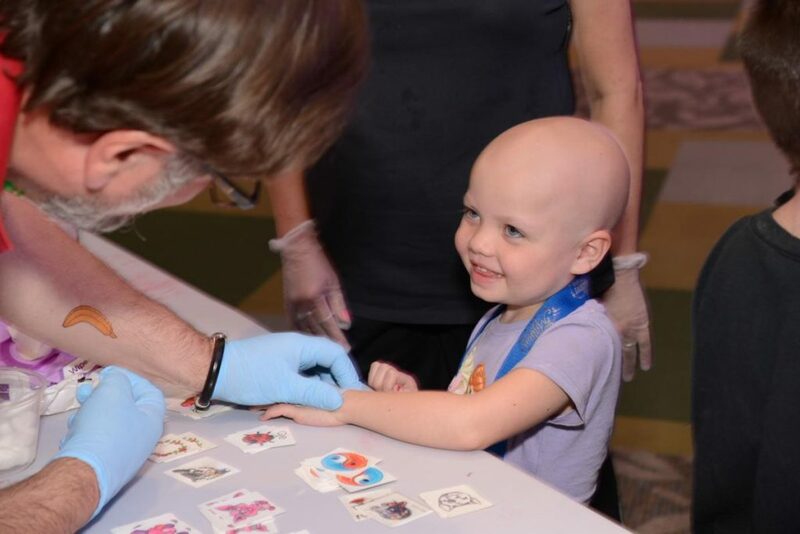 Carnival Cruise Line’s Care to Play program has raised over $16 million for St. Jude Children’s Research Hospital through a variety of charitable fundraising events including the popular Groove for St. Jude dance party held onboard all Carnival ships. Guests can also take part in Holland America Line’s On Deck for a Cause, which includes a sea-day 5K walk around the ship to raise funds for six international cancer organizations. Opportunities for meaningful pre- or post-cruise service work are available as well. Groups sailing out of Port Canaveral, Florida may wish to spend time volunteering at Give Kids The World Village, a non-profit resort in Kissimmee. This storybook-like vacation village caters to children facing a life-threatening illness and their families. 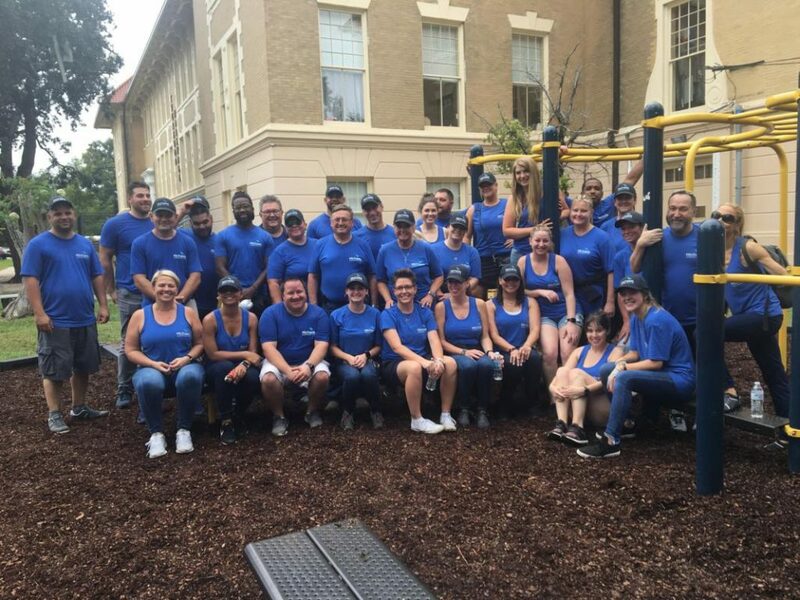 Volunteers fill more than 1,800 weekly shifts, assisting with activities including children’s entertainment programs, guest dining services or even running an amusement park ride. Church groups cruising from New Orleans have several options, too. Volunteers can help rebuild distressed and foreclosed homes with Youth Rebuilding New Orleans or work on a variety of projects through HandsOn New Orleans. These pre- and post-cruise service activities offer additional opportunities for fellowship, fun, spiritual renewal and making a difference together. That’s what meaningful faith-based cruises are all about.